There is no doubt about the added value that the Internet provides for teachers and students. Anything — an article, video, tool, or resource — could be a knowledge boost for our students. As teachers, we are constantly on the lookout for improving the learning experience for our students. In today’s age, technology is becoming a major part of everyday classes. No longer are the students confronted with technology just for computer class. For any subject, a teacher can find endless amount of tools and resources online that he or she would like to share with students. Oftentimes, the info shared by the teacher becomes a cluttered mess. In most cases, the info is lost after a few weeks and becomes hard to trace in the endless amount of information that we share. Therefore, we created Wibki. An easy, one stop location to share all of your content in a visual manner. Instead of constantly sending new links to your students via blackboard, canvas or any other platform, the educator points the student to one Web page that includes all related courses. On Wibki, you are able to create an account for each class and manage all of the information in easy-to-handle groups. Categorise your content in different tabs for multiple subjects. Divide homework links and class links and get useful data about the click through rates of each of the links that you share. The visual aspect of Wibki makes it easy to comprehend, with the display of large amount of content and links. Think of it as your bookmarks manager on steroids. Wibki is just the beginning. In the future we aim to provide you with more offline capabilities, password management to reduce crucial time waste in the classroom and individual data tracking for better understanding the students actions in class and at home. 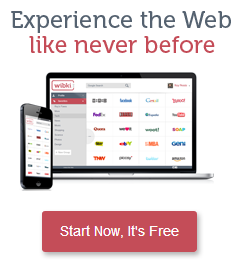 Wibki will be your one stop shop for handling all of your content, tools and resources.